Recently some of the Android users have been reporting that their Gmail account has been stopped syncing and they are unable to see messages received unless they manually open Gmail and update it. This problem is quite common nowadays and sometimes it may be frustrating too. In such situations, you may miss out important emails related to your business or work. When this happens you get an error like “Gmail sync is currently experiencing problems” “Gmail waiting for sync” etc. 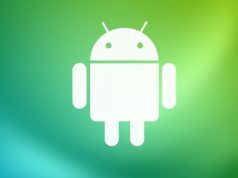 So in order to fix android email sync problems you just need to follow some easy and simple steps. 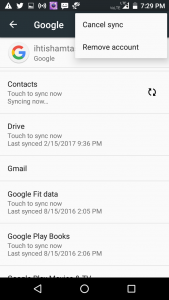 Follow the steps given below to fix Gmail not syncing problem in Android. Now I will show you how you can sync your Gmail on any Samsung Galaxy S Phone. First of all, you need to turn on your mobile data or connect to any Wifi if available. Now just pull down the notification panel and toggle on the Sync option available there. In other devices just go to Settings. Now in Accounts, select Google. You will be able to see three vertical dots on the top right of your screen, just press it and select Sync Now. In Settings go to Accounts. Now click on your Gmail account. Click on the three dots available on the top right screen, and select Remove account. Now to re-add it, Go back to Accounts. Then press on Add account. Provide the required Gmail credentials and add it. By following this steps you can re-add your Gmail account. Once done, now wait till you get a new Email. If not, you can try sending one to yourself from any other device that you have. From now on you should get a notification for every new incoming email. Just make sure you have followed the steps correctly and haven’t missed any. Do let us know if this has worked for you and the Gmail not syncing problem is fixed on your Android phone. Tried this and it’s waste of space. Got a message saying admin won’t allow it!!! Tried other recommendations s and nothing works.